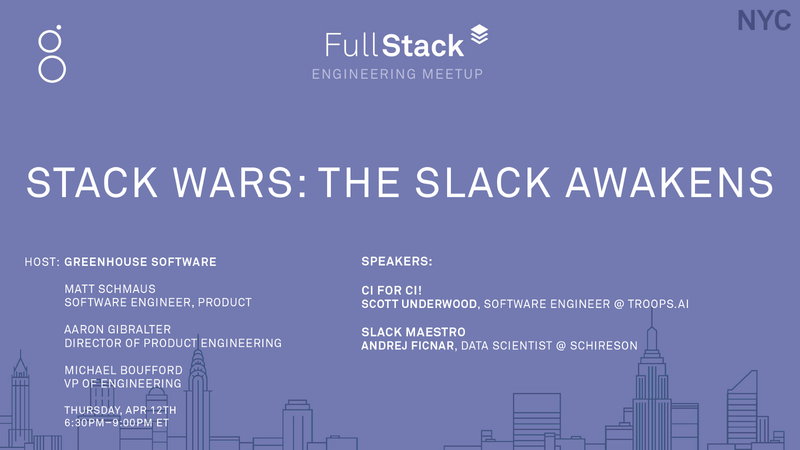 We hosted Stack Wars: The Slack Awakens, another Full Stack Engineering Meetup at Greenhouse’s office, on Apr 12th. Our presenters each discussed projects they’ve built on top of the Slack platform. First up, Scott Underwood gave us a live demo of Troops’ CI solution which enables his team to deploy code from within Slack. Following him, Andrej also demoed his Slack chatbot which learns Slack channels’ discussion topics, notifies users when they post something off-topic, and recommends the relevant channel. 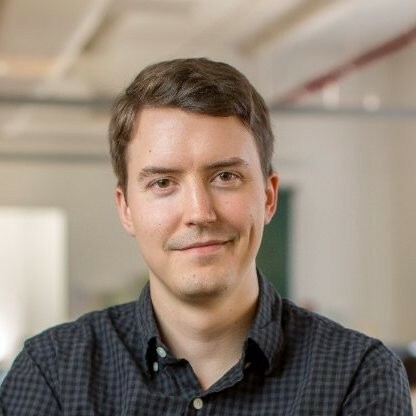 Scott Underwood is an engineering leader at Troops.ai, an NYC startup building artificial intelligence and workflow automation for Sales and Customer Success teams. Scott has over 8 years of experience in JVM based languages and has led engineering teams in ad-tech, modeling & simulation, and computer vision. Talk Abstract: Scott will walk through the challenges a growing engineering team faces to set up a scalable continuous integration solution, and how this so often leads to a Rube Goldberg CI pipeline. We will explore how Troops used chat ops to simplify its CI process, increase engineering transparency, and alleviate many headaches born out of managing and scaling multiple CI subsystems. Check out Scott’s talk here! 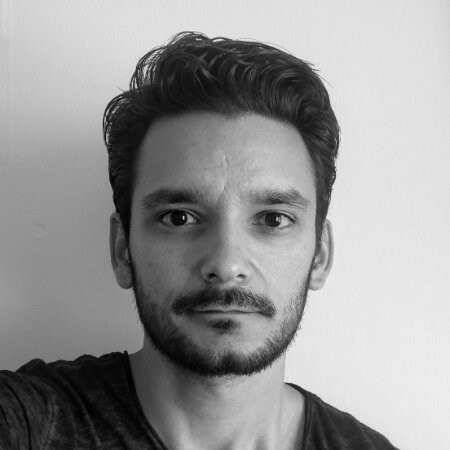 Andrej is a data scientist at Schireson Associates, a strategic data science consulting firm focusing on media and advertising. There, he employs various modeling approaches to build custom data solutions for clients, and manages current data products. Previously, Andrej worked at Columbia and Oxford as a theoretical physicist with a focus on applied string theory. Talk Abstract: Andrej will talk about building a smart bot for Slack that learns each channel’s topic and warns users if they go off topic. The bot relies on an implementation of a new NLP method introduced at NIPS 2015, called Word Mover’s Distance. We’ll discuss the brains behind such a bot, some practical challenges in building it, and also see a live demo of the bot in action. Check out Andrej’s presentation here!